Have you been craving a more beautiful smile? 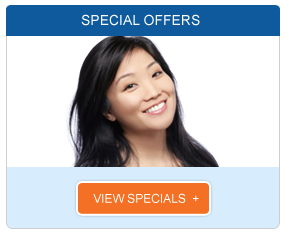 Our Invisalign dentist in Los Angeles can help. Invisalign is a clear, comfortable alternative to traditional metal braces. It uses virtually invisible mouth trays to gently move your teeth into position. The trays are removable, discreet and comfortable, and they offer an orthodontic alternative that can allow you to feel more confident throughout the treatment process. 1. Invisalign is clear and virtually undetectable when worn. 2. Patients are less likely to experience oral irritation linked to treatment unlike metal braces. 3. Removable aligners make it easier to keep your teeth and gums clean and healthy during treatment. 4. Invisalign is fast and can often straighten teeth in just one year. 5. Fewer orthodontic visits are necessary to achieve results. Not all patients will be candidates for Invisalign. Children and young teens whose jaws are still developing may need alternative treatments, and adults with significant bridgework or porcelain veneers may not be candidates for the procedure. Each case is unique, however, and our Invisalign dentist in Los Angeles can help our patients achieve a healthier, attractive smile using a carefully chosen combination of procedures that may include Invisalign. An initial consultation with our Invisalign dentist in Los Angeles can help you determine if you are a candidate for the procedure. We will clearly define a treatment plan using dental impressions or computer images, and we may even be able to provide you with a preview of your new smile. Achieving a beautiful smile with Invisalign can leave you feeling more confident, more secure and more attractive. You may even find yourself smiling more often. 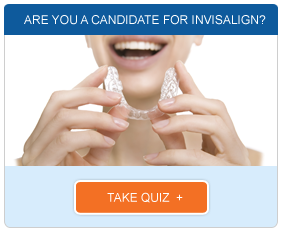 It is time to find out what Invisalign can do for you. Contact our Invisalign dentist in Los Angeles to schedule your consultation.